​Selling Rochester for 22+ years! Multiple Salesmaster Award Winner, Kathy has had twenty two years of full-time experience and is active in existing and new -build residential properties. Additionally, she has extensive relocation experience and is accredited. She also has extensive knowledge of Landmark properties and period homes. As a consistent multi-million dollar producer she has been awarded for increase in sales in 1987, 1988, 1989, 1990, 1992, 1993, 1994, 1996 and 1998, 1999, 2000, 2001, 2002, 2004, 2005 and 2006. 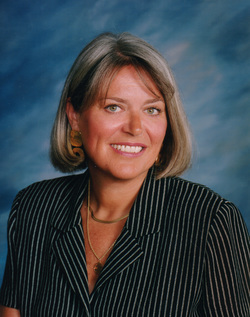 In addition to her professional interests, she has been an active volunteer in the community, having served on various boards including those of Strong Children's Hospital, the Memorial Art Gallery and the Historic Pittsford Board and Rochester Garden Club. Kathy is also a long-time member of the National Association of Realtors, the New York State Association of Realtors, and the Greater Rochester Association of Realtors. She also serves on the Professional Standards and Ethics Committee of GRAR and the Inter-Office Council of Mitchell Pierson Jr., Inc. Realtors.